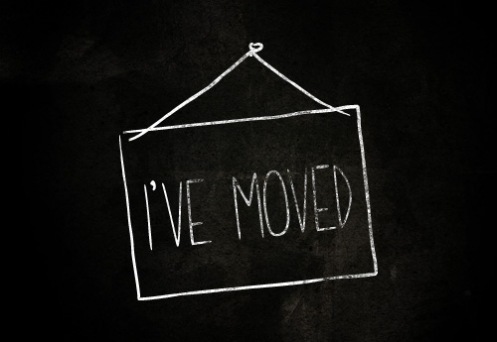 I’m still doing tweaks, etc, at my new home, so if you come across anything strange, or wonder where something is, let me know! I’ll be tweaking things through the rest of the year. So head on over to http://www.ktcupoftea.com to poke around! I really hope you do! How was your week?? 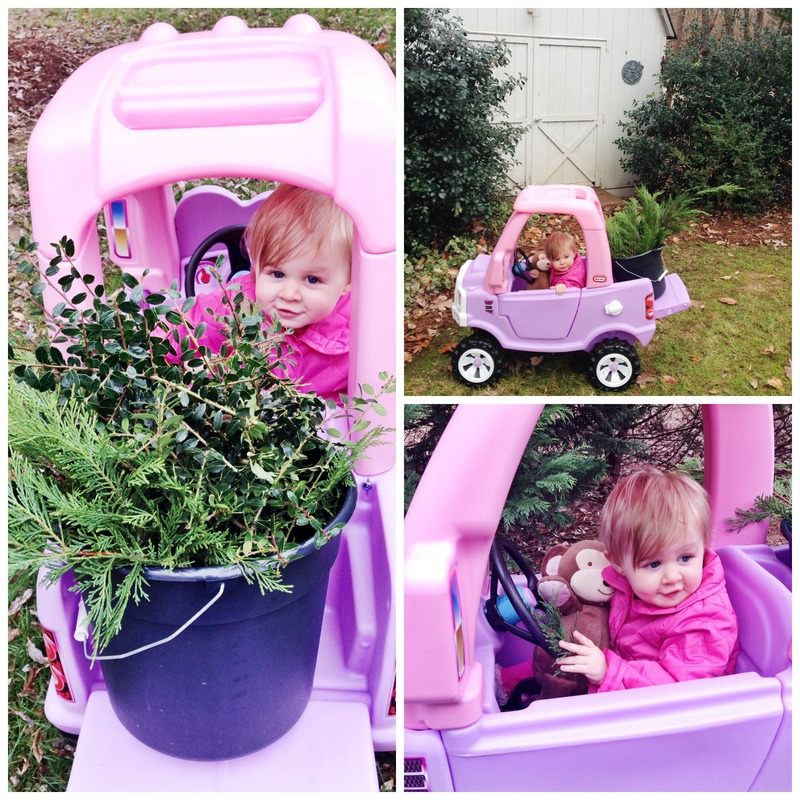 While last week was a super productive week, this week was a study on lazy… ’tis the season! But here is what’s been going on, in the midst of all the lazy! 1. Another weekend, another birthday party! 🙂 That’s so much fun when you have kids – there’s always a birthday to go to. I love it! 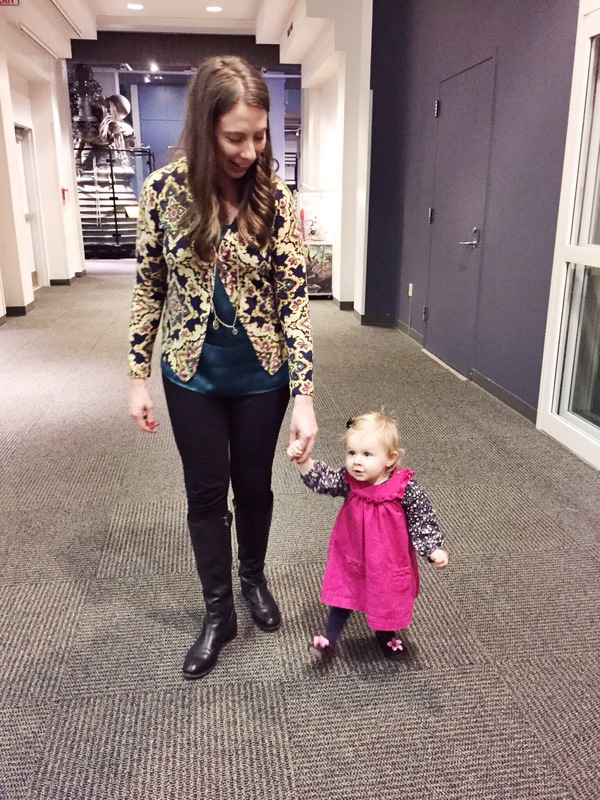 Last weekend we had a party at the Durham Life & Science Museum. I love that place, and so does Elizabeth! While we were there we practiced walking. 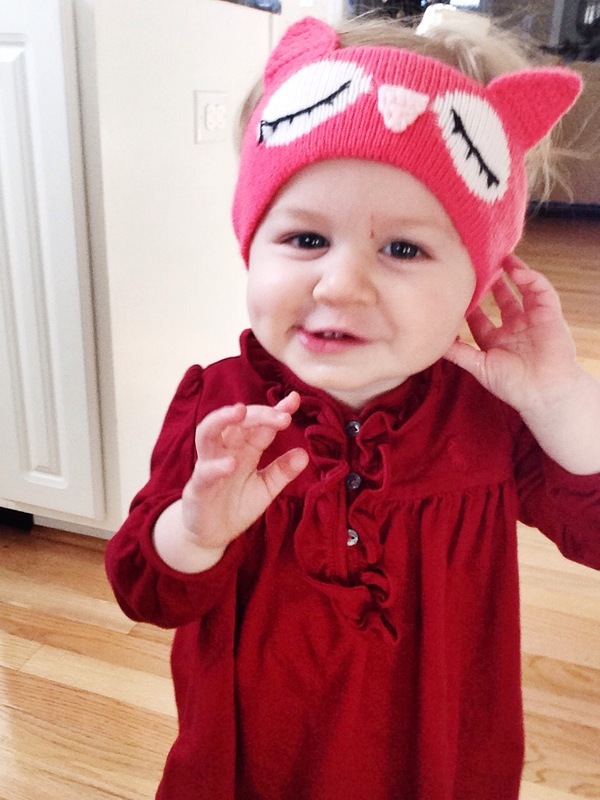 The stinker knows how to walk – she’ll take a couple steps, wait for the applause, then sit. But she does love holding hands and walking. 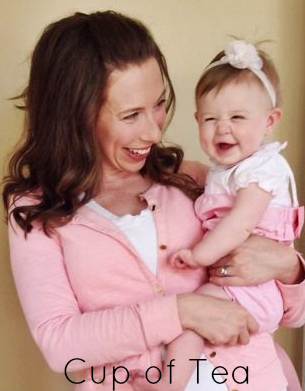 And when she does that I just can’t believe how big she’s gotten! 2. My mom was so sweet to send 4 gifts for Elizabeth to open on each Advent evening. We missed the last weekend, so Elizabeth had to open two in one night. 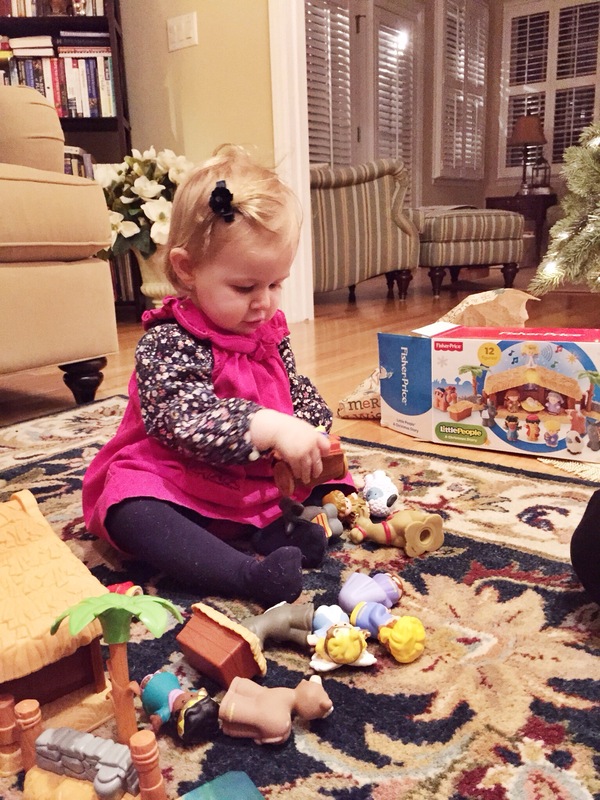 I made the mistake of letting her open the play nativity set, so she could have cared less about the second gift. 3. 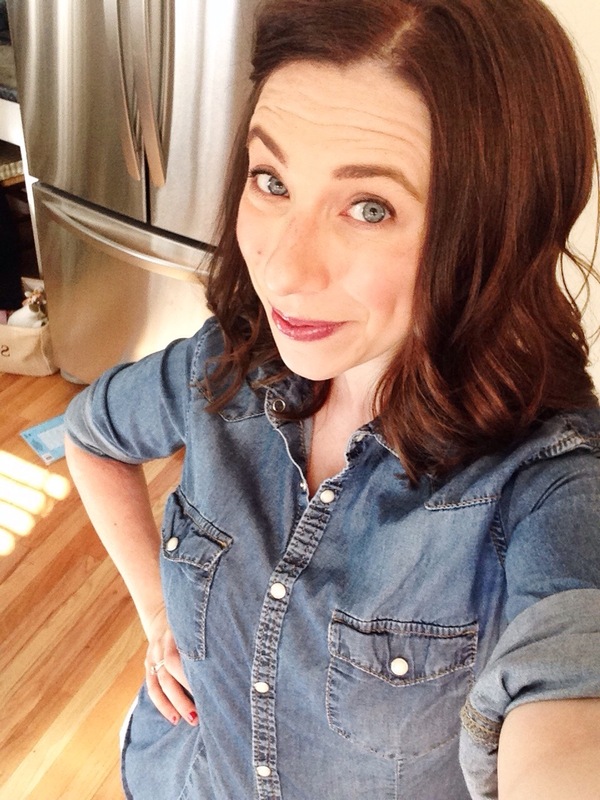 It was a bad week for Katie and the body quirks. 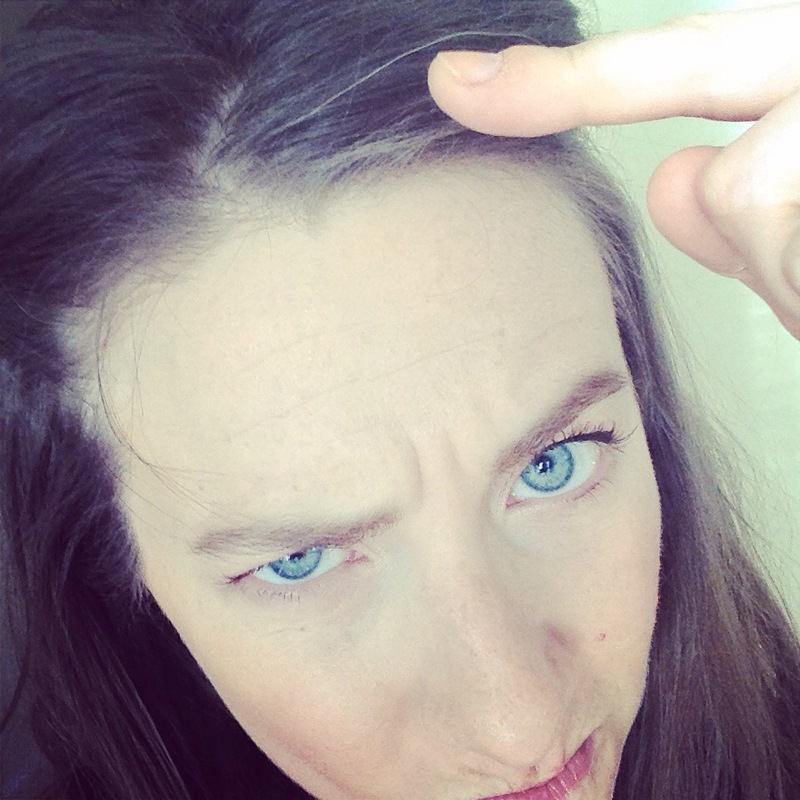 Not only do I currently have 3 zits on my face, but I found 3 grey hairs on my head…. grr…. Bad things come in 3, right? So there’s still one more to come. 4. And because of the grey hairs, I was “forced” to color my hair this week 🙂 Just a shade darker. Plus, I whacked about 6 inches off. I don’t know what got into me! I’ve always been a long hair girl, but medium length just felt right. 5. 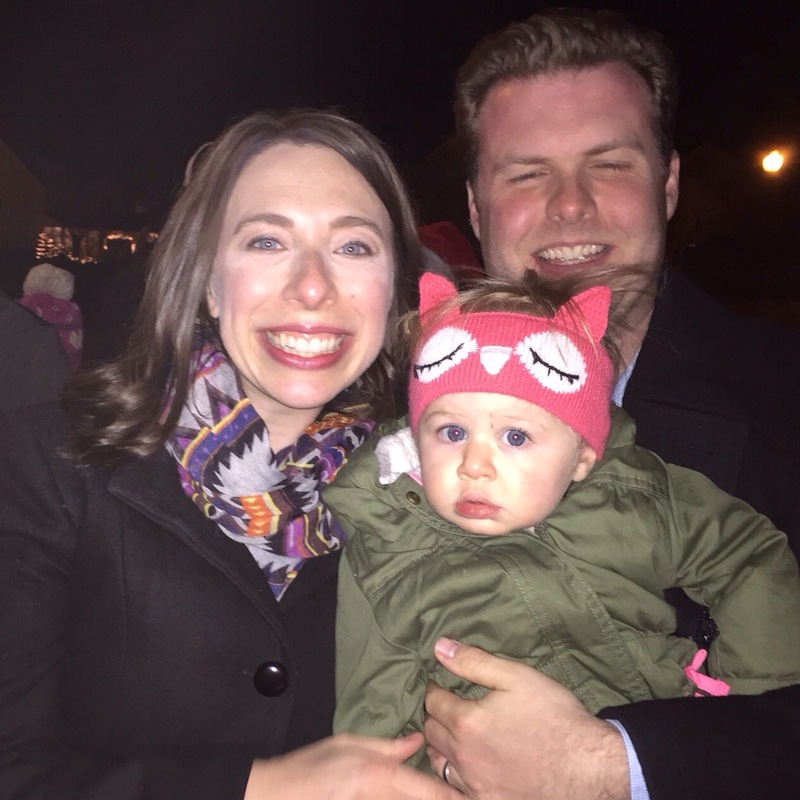 Last night, we went to Wake Forest with some friends for a sleigh ride and Santa visit! Elizabeth had to get on her warm weather gear, and she was pretty pleased. The sleigh ride was delightful! And short. The horse drawn carriage literally went around the block! But it was fun, and a great way to get in the spirit!! There was no Santa visit. The line was atrociously long… plus Elizabeth came without a hair bow, and her red shirt, while festive, was stained with her first try of ketchup. A perfect picture that does not make. Woot woot! Some exciting things are happening behind-the-scenes for this here blog. I just had to share. I can’t really spill the beans on one thing, but stay tuned over the weekend for exciting news #1! Well, it’s exciting to me. May not be for you. In the meantime, I’m containing my excitement by wrapping Christmas presents and watching Christmas movies. So I leave you with my favorite scene, from my favorite Christmas movie. The dickie. It gets me every time. Ta da! 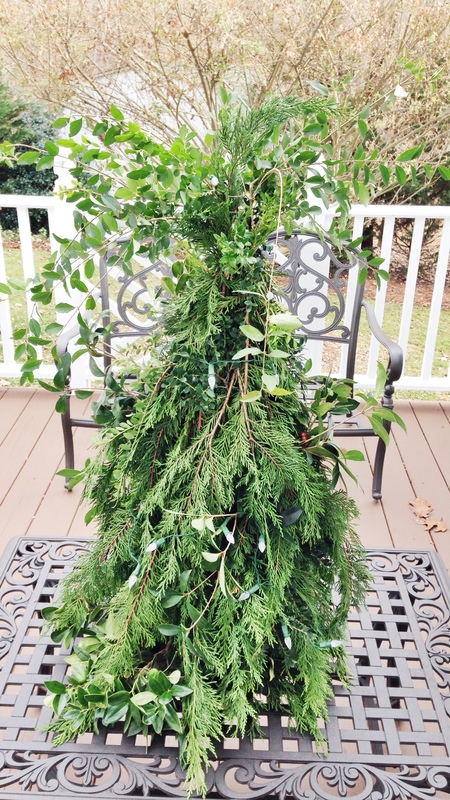 A seasonal DIY! This doesn’t happen very often, folks. I was flipping through a magazine (don’t remember which one!) and stumbled across a really neat idea for transforming a boring wire tomato cage into a cute tree to hang your Christmas cards from. It was embelished with pom pom trim, ribbon, and fairy lights. Ye ol’ wheels started turning, and I thought why not wire on some greenery from the yard and make a tree to “plant” in my front door urn! Genius! Turns out, after a quick Pinterest search, I wasn’t so genius. But still, I attempted it, and you know what? It wasn’t that bad! It was easy, in fact! First, you’ll need to gather greenery. Lots of it! And a variety of stuff. But just wander around your yard (or your neighbor’s) and snip away! 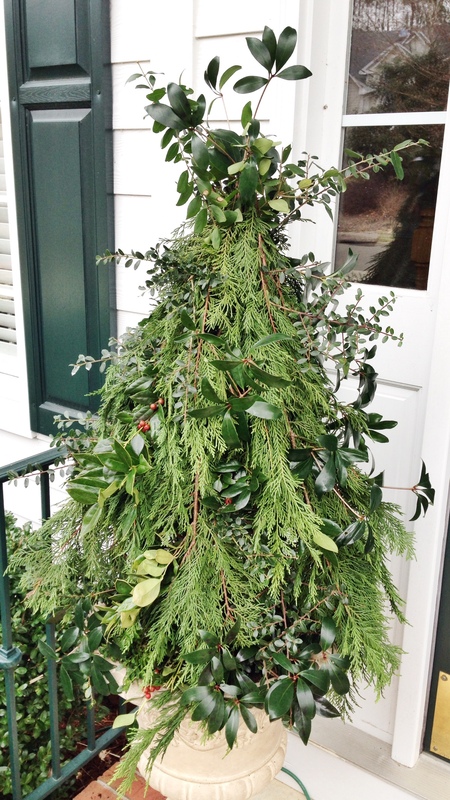 I grabbed basic pine, boxwood, holly (some with and without berries), and a few other green bushes that I can’t identify. It helps if you have a great helper! Stick it in some buckets as you go. And gather the rest of your supplies. 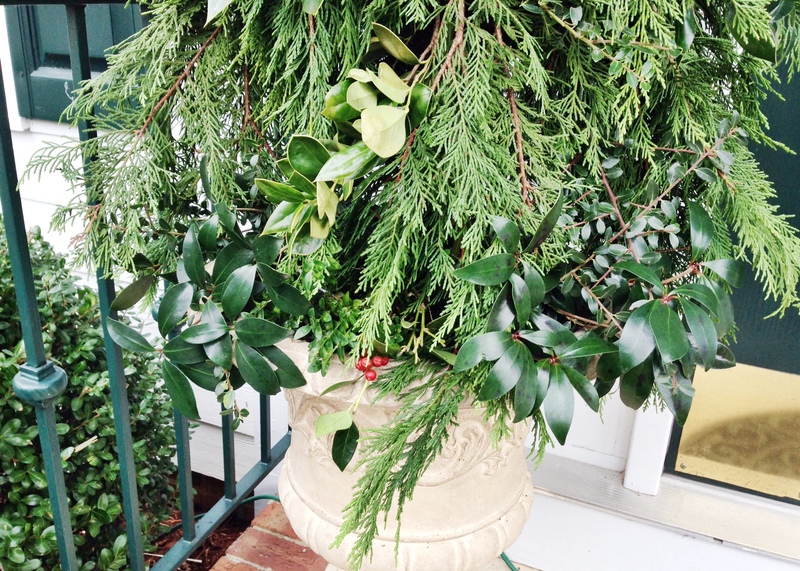 Buckets of greenery, but especially pine branches of varying thickness and width. Snip some that are long and a single branch, and then others that have several smaller branches on one main branch. Pine will provide a base for all your other greenery to lay on. I needed about 25-30 pine branches of varying sizes. A container to put it in, whether it’s an urn, a basket, or even a terracotta dish! The only thing I bought for this project was the tomato cage (cages, actually. I made one for the front porch and one for the back deck). I found floral wire in my craft bin, as well as those mini wire cutters. But the heavier duty wire cutters were found in my husband’s tool box. 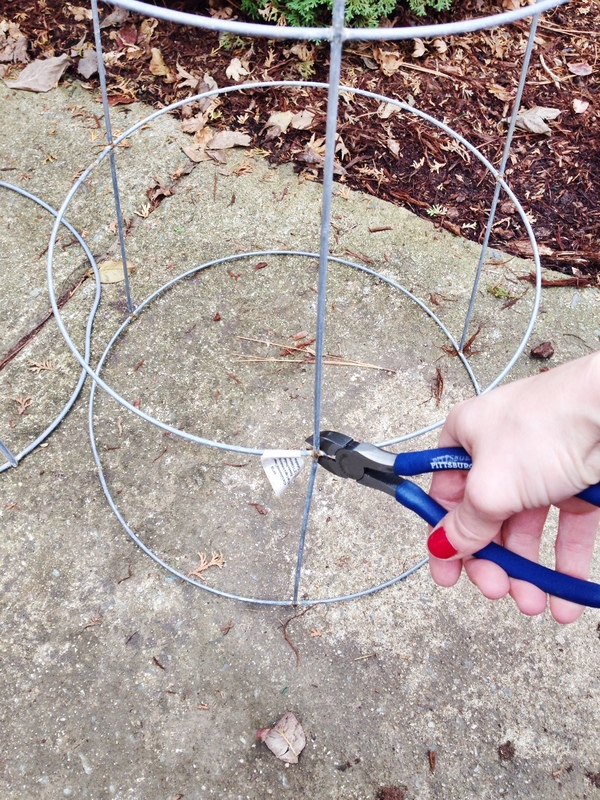 To get started, I cut the bottom, largest ring off the tomato cage, so it wouldn’t be too tall. I was concerned about wind knocking it over. You don’t have to do this if the height works for your space. One tomato cage was thicker than the other. I worked at cutting that thicker wire cage for about 20 minutes. 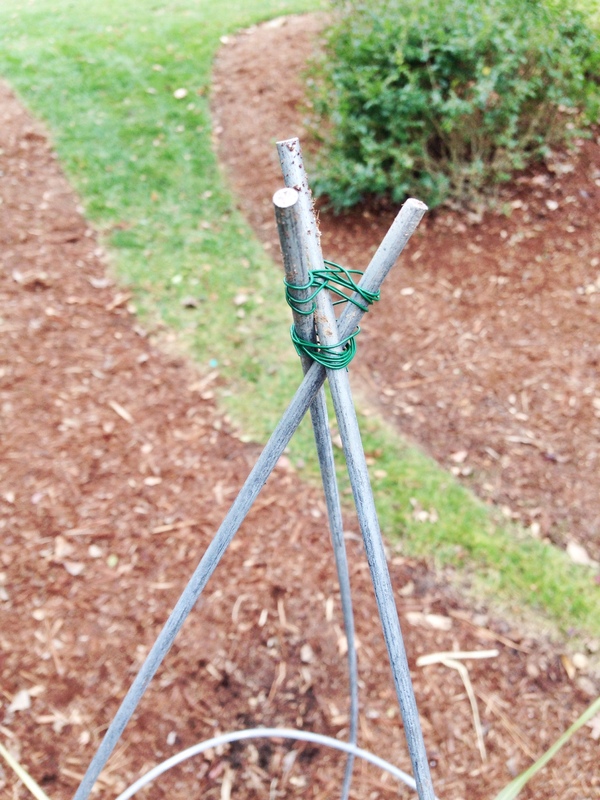 Next up, bend the three legs of the tomato cage (which will be our top!) and wire the legs together with your floral wire. You’ll now have a tree/cone shape, ready for greenerizing! And then, “plant” your tomato cage in whatever container you’ll be using for display. I used a footed urn for one and a terracotta dish for the other. This way you can see how it looks in that finished location, as you go. Next up, begin layering your large pine sections by laying a branch on one of the three legs, with the cut branch at the top of the cone. Wrap wire around the branch to hold it in place. 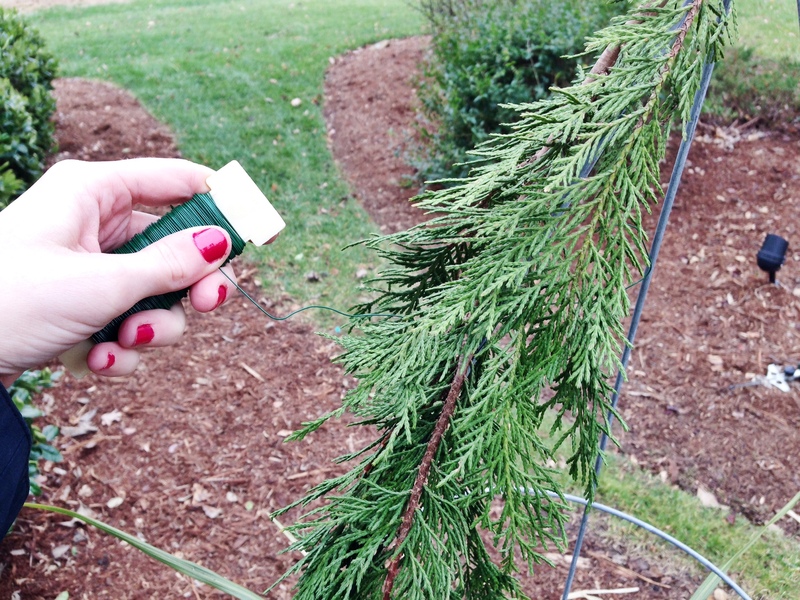 Then keep wrapping wire around the rest of the pine branch (loosely!). 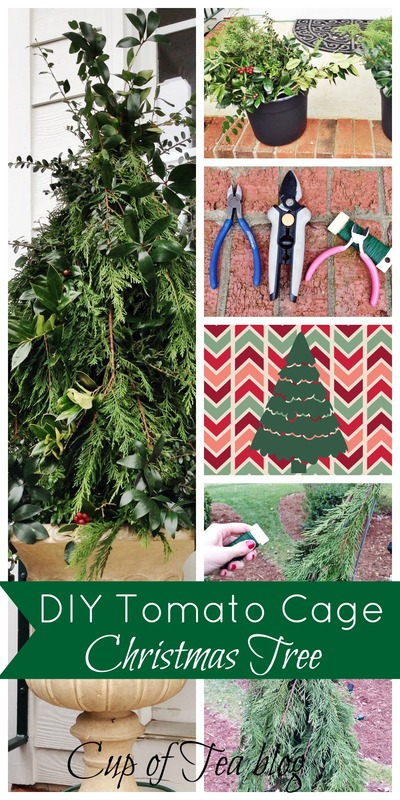 As you wrap, add another pine branch, tucking the cut branch part under the above branch. And keep wrapping! Basically, do one continuous wrap until you have enough pine branches to touch the bottom of your cage. Honestly, this was the hardest part, and my second one had better technique that the first. I found that attacking each leg separately, with that continuous wrapping, was the best method. 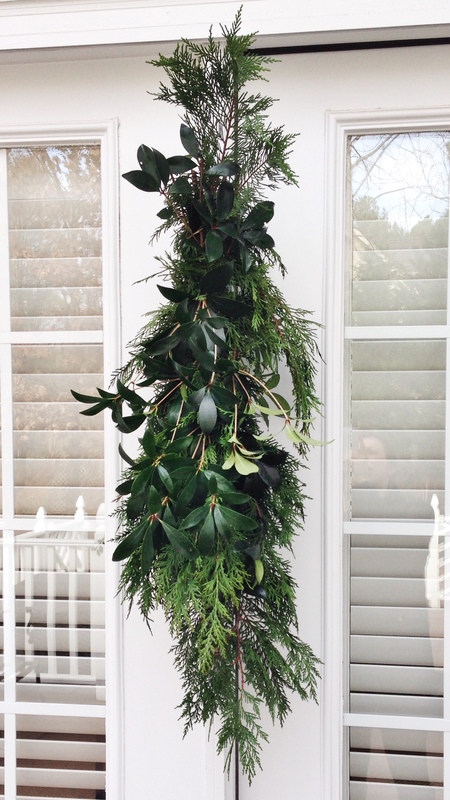 If you’ve ever made your own pine wreath before, it’s like that! Except vertical. Continue on with the other two legs! You’ll see some gaps between the pine “legs” now, so wire on some more pine to the hoop parts to cover those sections in. 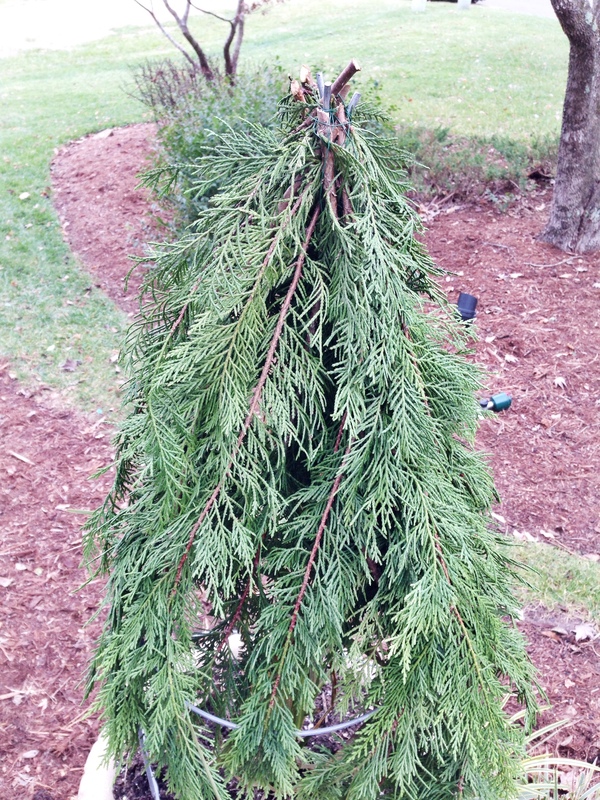 And finally, just start jabbing in to the pine and twisted wire your other greenery snips. You can go for a uniformed look, or a more natural “wild” look. And for the top, you might want to consider some branches, with or without leaves. Or wire on a Christmas ornament! You can also finish off your DIY tree with some lights. 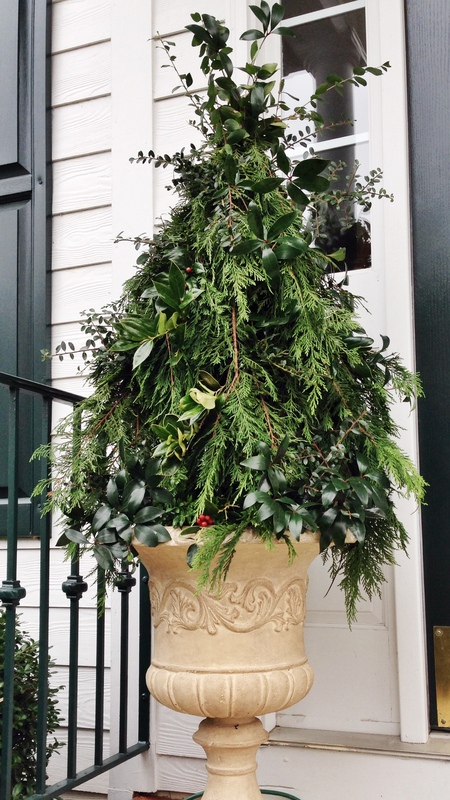 Don’t forget to tuck in extra greenery around the base to close any gaps between your tree and the container. I was on such a roll that I did that second tree really fast! This one sits on our back deck. I had some greenery left over, so I thought, since I was in crafting mode, I should make a door swag for our deck door! I’ve never been so handy with pine before! I took one wreath making class, many years ago, and that was my one and only time making something like this. Don’t know what got into me this year! This project looks complicated, but it’s actually really simple! Collecting the greenery and then getting that first layer of pine is the hardest part, but truely isn’t that hard. While searching for others that were also geniuses with their tomato cages (even though I was sure I was the only one! ), I came across a video from P. Allen Smith, explaining the process with his delightful Arkansas accent! There’s also a blog post with written instructions, if mine weren’t sufficient. I’m sure they were not! 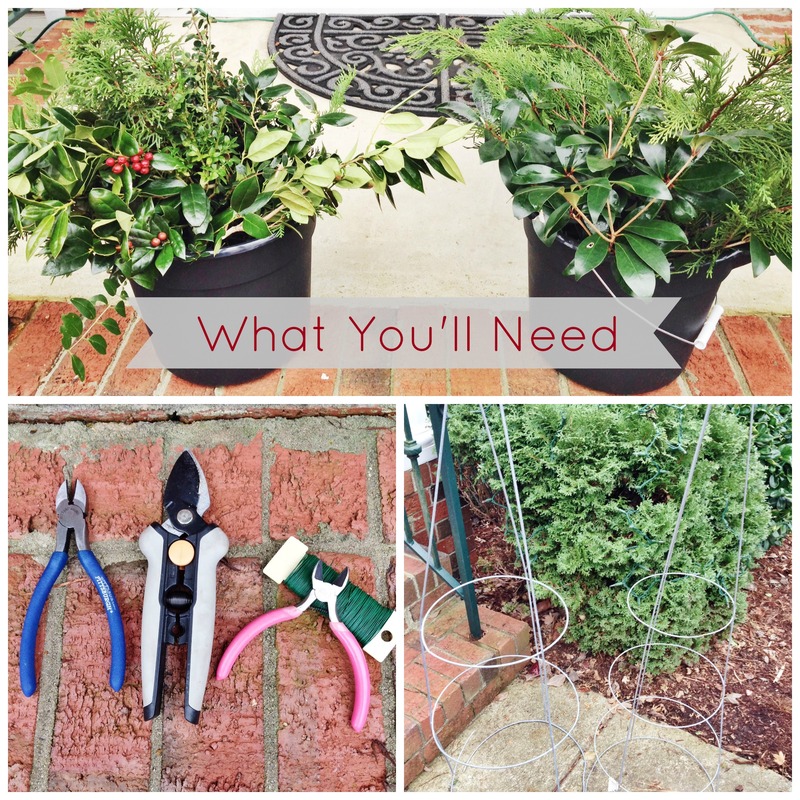 Are you doing any DIYs this year for Christmas? Maybe gifts? Any fun decor ideas? Let me know!! 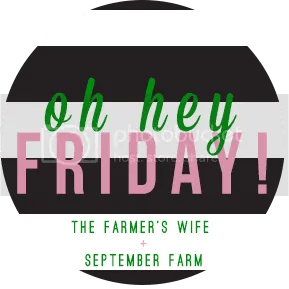 Another weekend bites the dust! I’m still weeping a little that December is just flying by. October – December is my favorite time of year. It’s my reward for surviving the southern summers. But it’s going too fast! Anyway, for this week’s menu, I’m still leaning towards easy, quick meals. We also have a goal of not going out to eat for the rest of this month. Christmas expenses pile up, you know. For more information on how I menu plan, look at this. 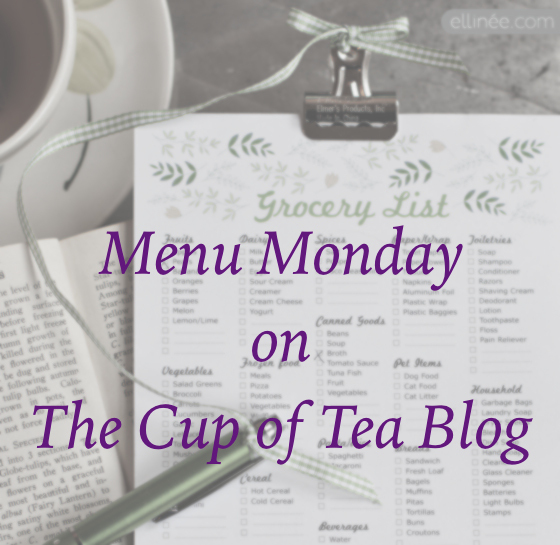 But if this is your first time reading a Menu Monday post, this is where I post what we’ve got on our dinner menu for the week. And, as always, I have links to as many recipes as I can reference. Some, though, are just “open a can” or “microwave that”. You know what I’m saying?? Trader Joe’s Indian curry of some sort…. 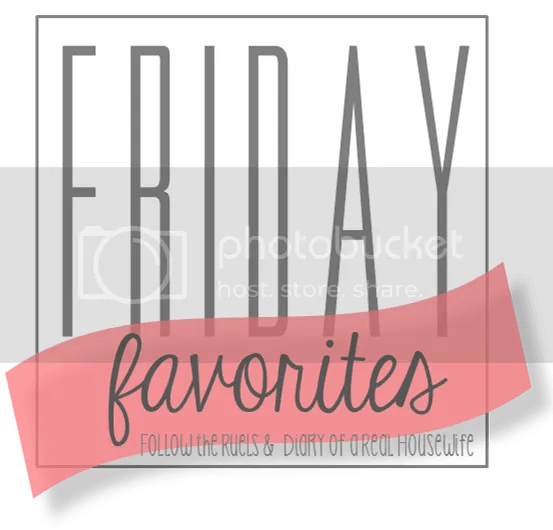 and their garlic naan – yum! Christmas Party – no need to cook! Need more ideas for dinner? Follow my Pinterest board – it’s where I save all of my dinner ideas! Learn more about the Cup of Tea blog!